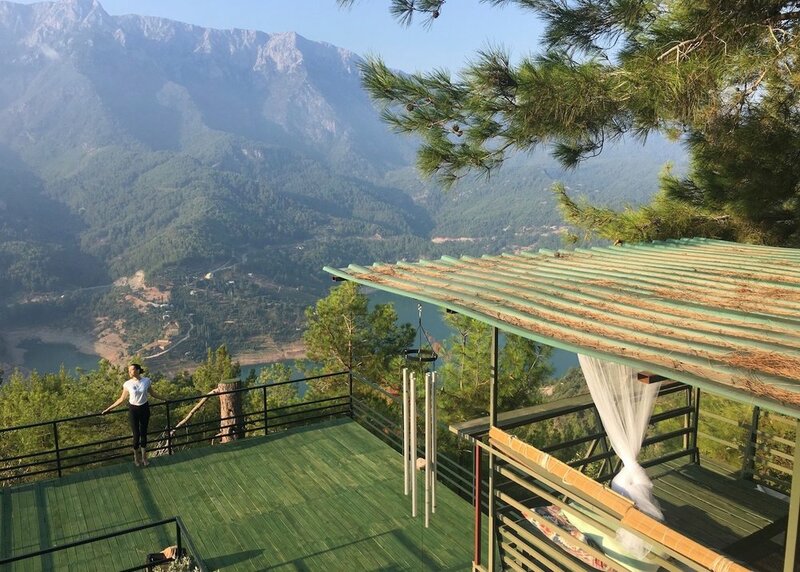 Our one-week yoga and purification retreat will be in the Taurus Mountains in Alanya, which is known as the Himalayas of Turkey, 2,500 feet above sea level. 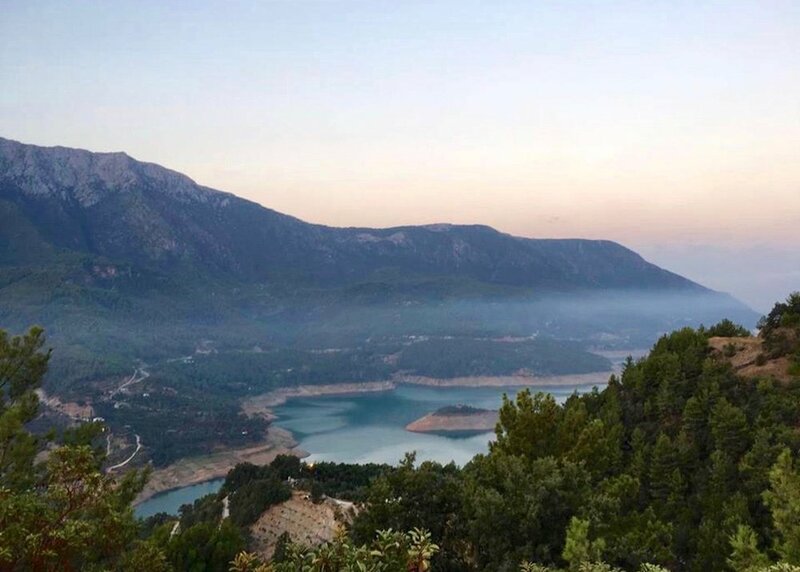 The retreat center overlooks a river and is surrounded by nature on all sides, including a view of the Mediterranean Sea between majestic mountain peaks—complete peace and tranquility. You can choose between normal bedrooms and wooden style tambos, like in Thailand. All rooms have two separate beds and are equipped with electricity, lights, shelves, fans, and a mosquito net. The best part? 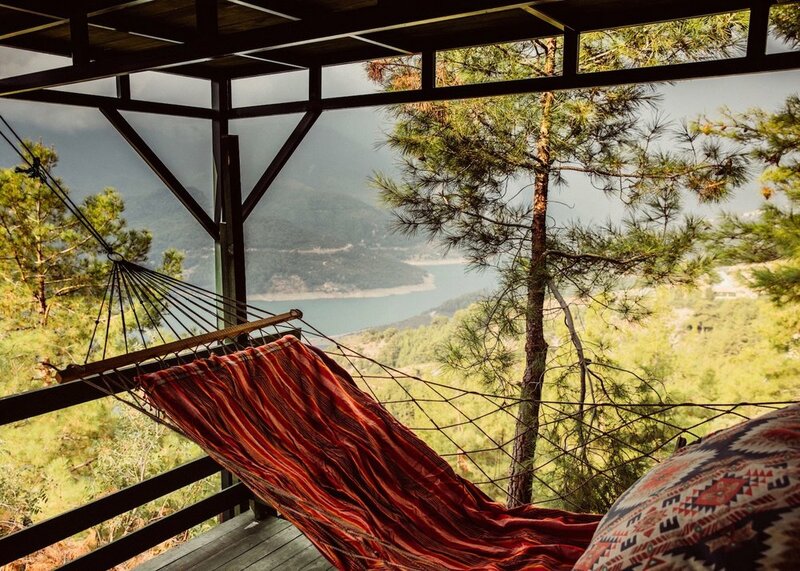 You wake up in the middle of nature! As soon as you get out of bed you can watch the sun rising over the mountains and grab seasonal fruits like grapes from the trees above you. Air conditioning is not needed in the rooms; the air temperature is perfect for sleeping at night. 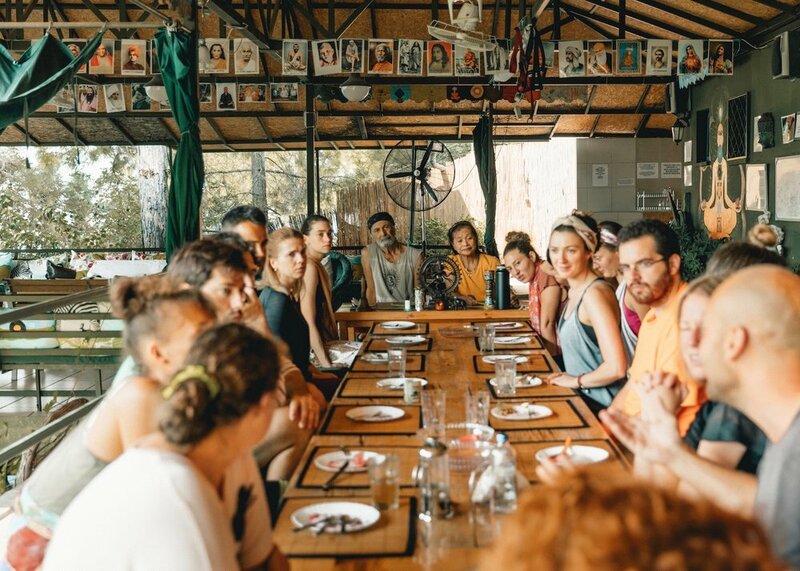 The host teachers are Adnan Cabuk and Madama Lourdes, who live in the ashram during the summer and have owned the yoga center, which they designed themselves, for more than 15 years. 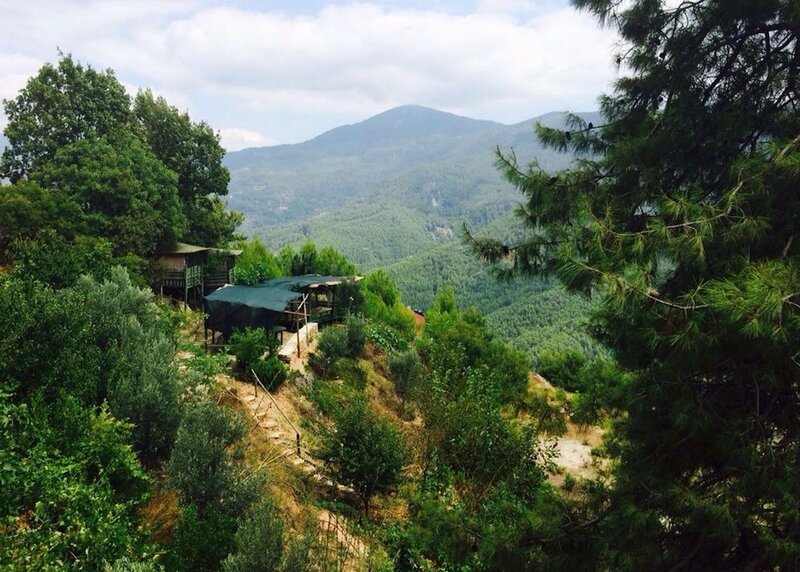 During the rest of the year they offer yoga teacher trainings in Istanbul (classical Raja Yoga). Both are true, heart-centered yogis. Their knowledge, experiences, and way of living are very inspiring. YESIM YUVA is organizing the retreat and will also teach in the center. Her style is Classic Hatha, Vinyasa, and Chakra Balancing. For Yesim, yoga is about opening the heart, letting go, and finding balance. I will be teaching a blend of vinyasa, hatha, and Sattva Yoga at the retreat. 100% organic and fresh, vegetarian and vegan. 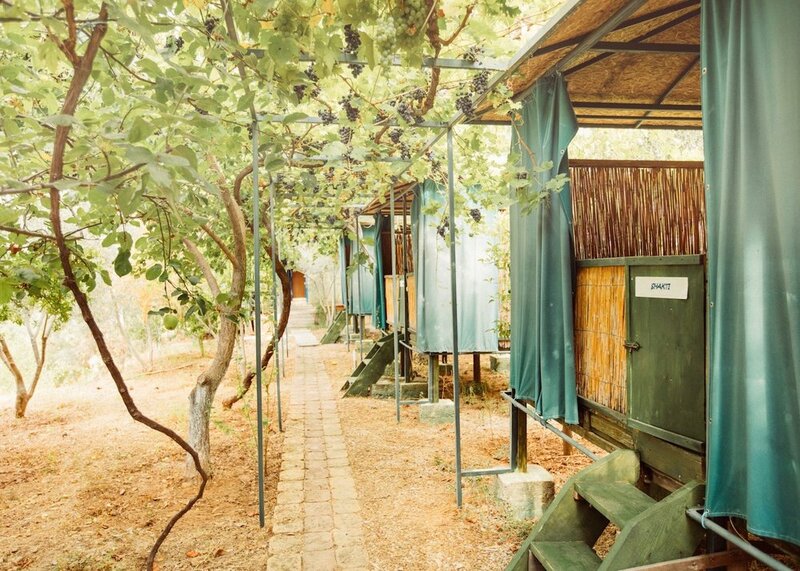 While you are walking through the camp you can grab apples, grapes, pears, and many other seasonal fruits from the trees. There is a vegetable and herb garden. 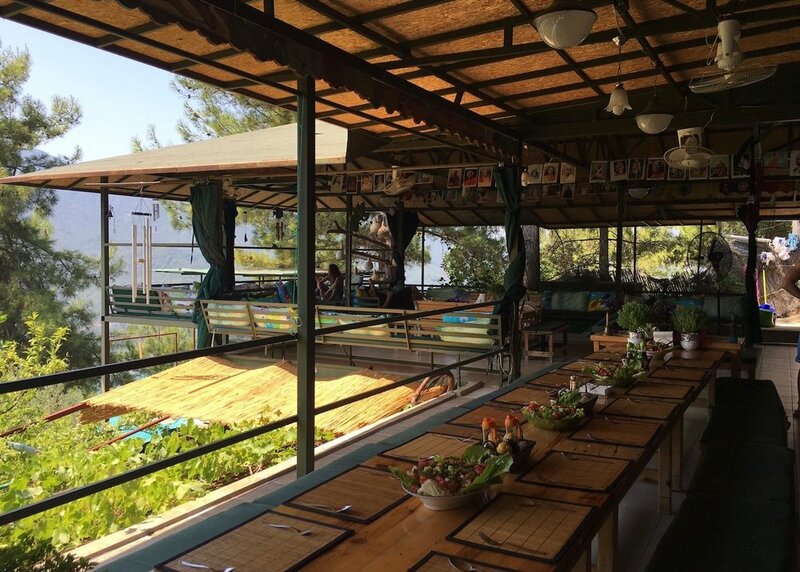 Every dish is mouth-watering, and will be cooked daily by Madame Lourdes and her team. All levels are welcome to join the retreat, especially beginners and people who want to take a first step into the world of yoga and meditation. The group is always a diverse blend from all over the world, with different yoga backgrounds. Many come back every year to spend the week cleansing their bodies and clearing their minds. The classes and conversations will be held in English. There are two international airports: Gazipasa and Antalya. From the airports you can take buses directly to the city of Alanya. Gazipasa airport is closer, and a 40 minute drive away by taxi or bus. Antalya is a bit further away: 2 hours. 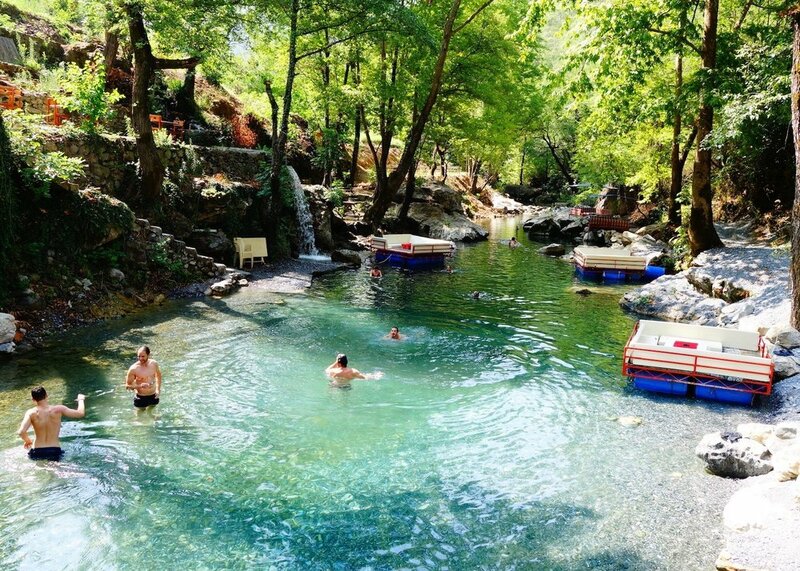 There are buses from the Antalya airport to Alanya for 7€ every 45min. The transport from the airport to the city is easy and completely safe. We will meet at 11.30am in a cafe next to the main bus station (Otogar) in Alanya city the first day. From there we will drive with jeeps to the yoga center in the mountains, which takes about 45 minutes. We also provide transport back to the main bus station be on the last day of the retreat at 10am. Extra transport from and to the airport is possible for extra charge. Most will arrive 1–2 days earlier and leave a few days later also after the retreat has finished, depending on the flight connections. I can recommend hotels and further information. 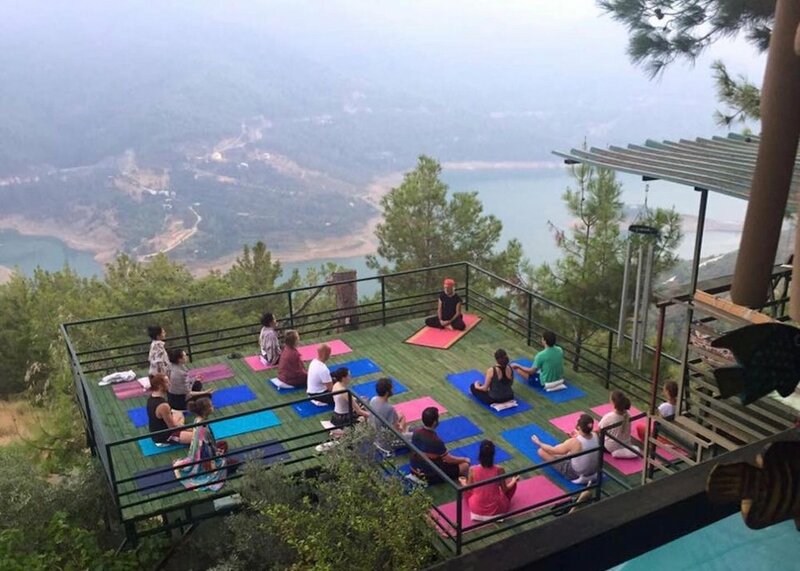 The price includes 6 nights accommodation, all daily yoga classes (morning and evening), food and beverages, a trip to the river, a full organized week, transfer from/to Ashram and the Alanya Autobus Terminal. You will have no other expenses during your stay in the center (except massages). The flight and airport transfer is not included in the price. A 50% deposit or the full retreat fee is required to confirm your reservation. It is possible to pay the retreat cost in one full amount, if you prefer. Any outstanding retreat cost must be paid AT LEAST 4 weeks prior to the program start to guarantee your booking. You will get a detailed info sheet with what to bring, the address, the exact meeting point etc., after your reservation. We will only be able to apply your payment to a future date if we can fill your place in the camp. We will try our best to do so. We look forward to sharing a wonderful week of yoga, nature, and good company with you. You will feel like a newborn.